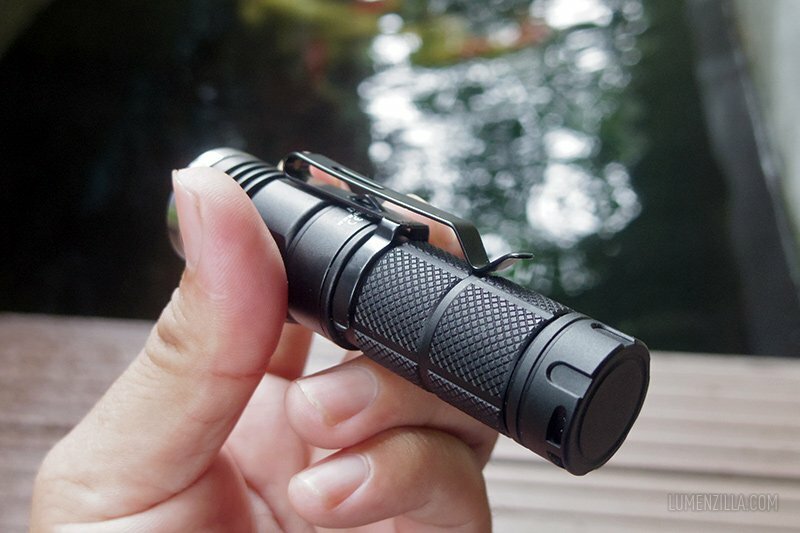 Skilhunt DS16 is a flashlight built for EDC needs at the first place, utilizing an XPL emitter with handy selection of battery format. 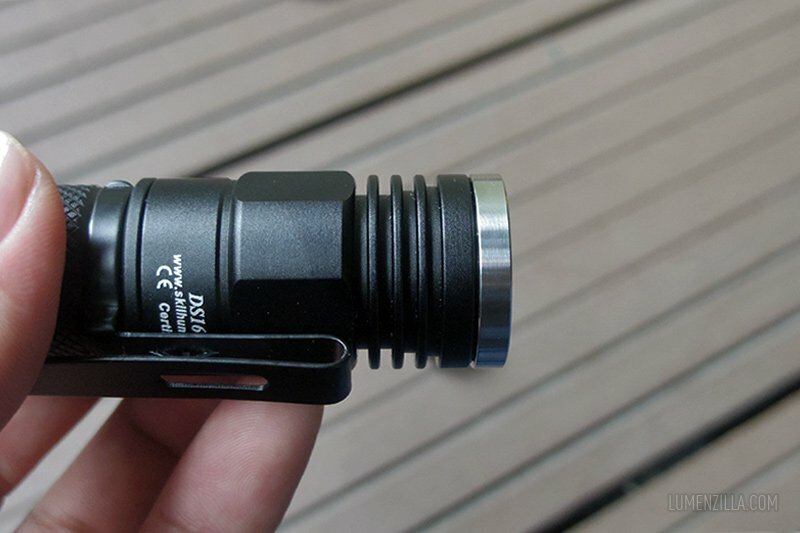 It accepts both AA and 14500 battery format with maximum output of 500 lumens and 126 meters throw distance. I wish there was a holster, it would be a nice addition. 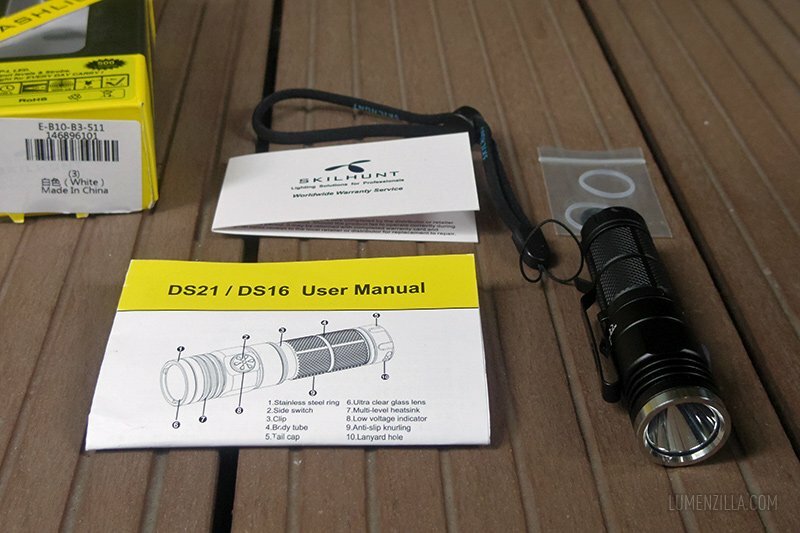 Looking at the flashlight, I can recall that Skilhunt DS16 has similarities with Skilhunt H03 I reviewed earlier. 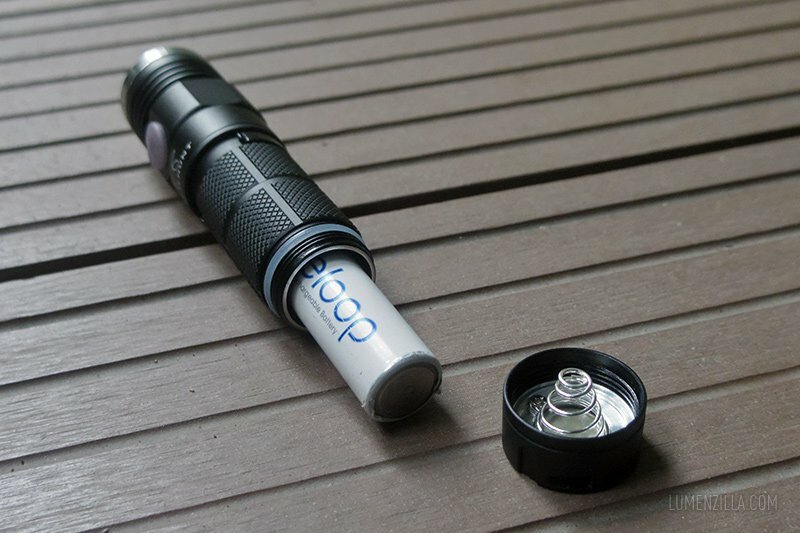 Similar knurlings, similar pocket clip, similar appearance. 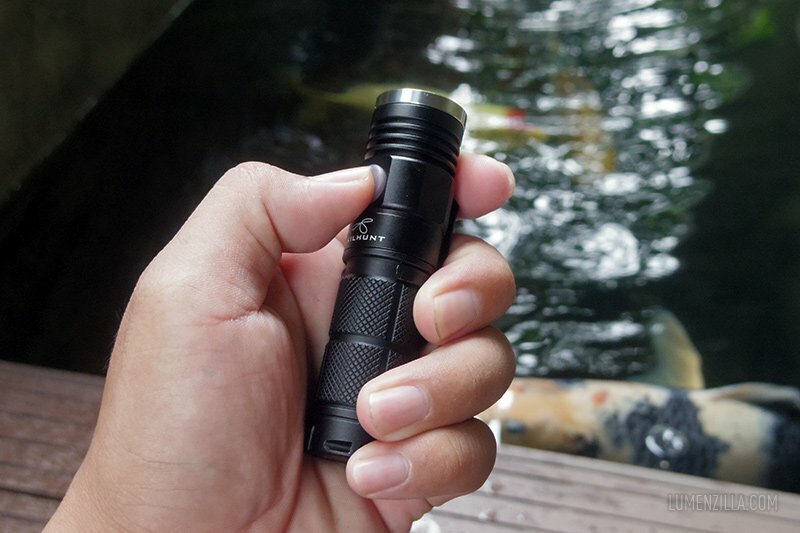 Skilhunt DS16 takes advantages of XP-L LED emitter in this small form factor with smooth reflector to enhance the beam’s throw. There are three notches on the bezel indicating that its head can disassembled quite easy. Well, that’s what I think of. I haven’t tried to open the bezel yet. The petal pattern on picture above is reflection of LED dome into the reflector. It has nothing to do with beam performance. 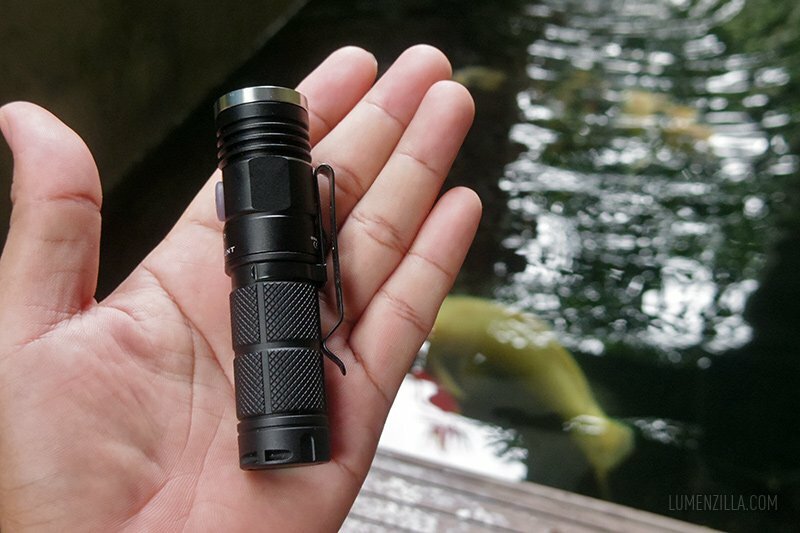 I must admit that this AA flashlight is quite big for its size. 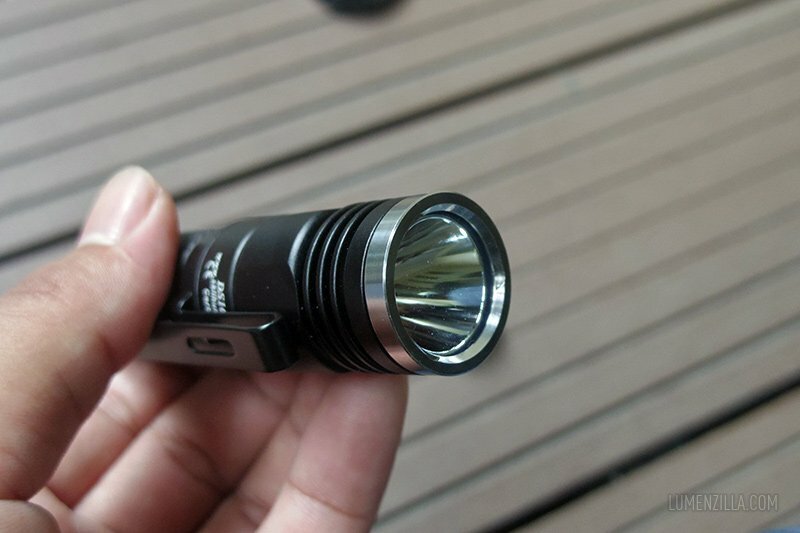 I assume that Skilhunt builds this curvy AA flashlight to dissipate heat from XP-L emitter when using 14500 lithium-ion battery. 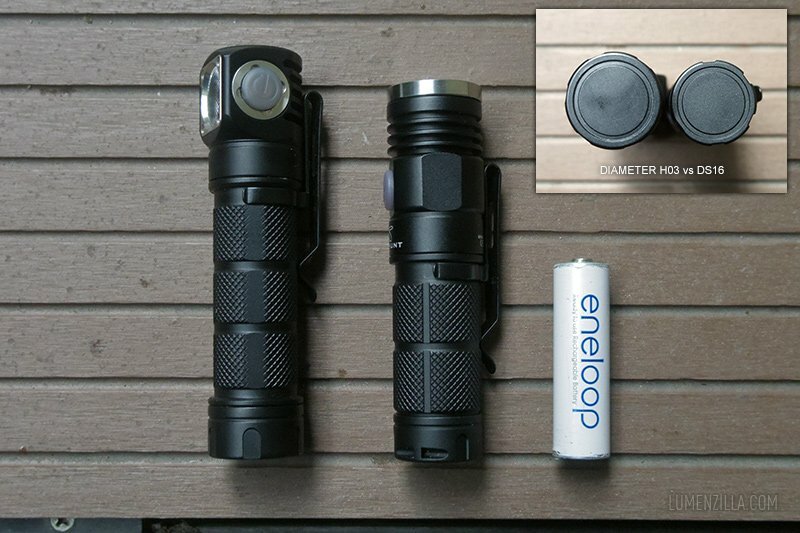 Here’s size comparison of Skilhunt H03, Skilhunt DS16, and an Eneloop AA battery. There are three fins on its head for better heat dissipation during usage. Not forget to mention, a magnet also embedded on its tail cap for easier attachment on any ferrous metal surface. 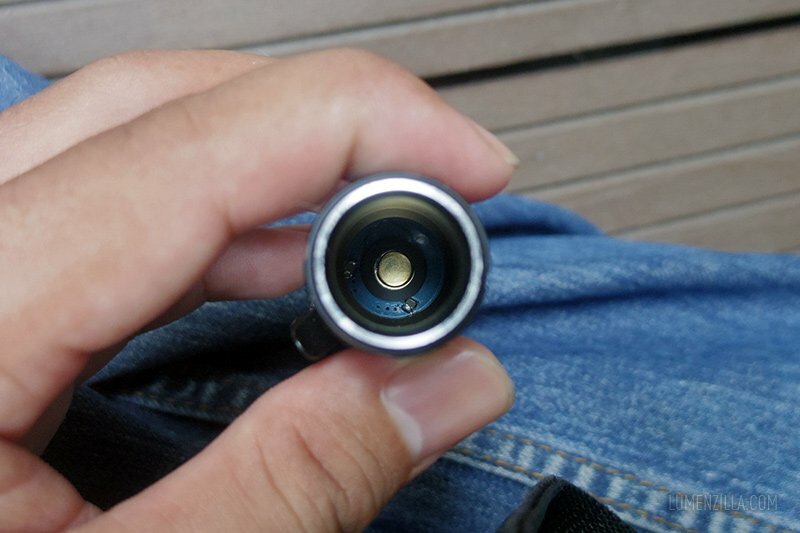 Switch is located on the side body of the flashlight. It’s an electronic switch and the driver has shortcut to access both highest and lowest mode from off. Flashlight can be turned on by pressing (short press) the side switch button and it will go to the last used mode (has memory). Another short press will change the mode and it will cycle from turbo, high, medium, and low. As I mentioned before, there are shortcut to access particular mode. From off, long press the button and it will turned on in low mode. While double press from off will bring on turbo mode. 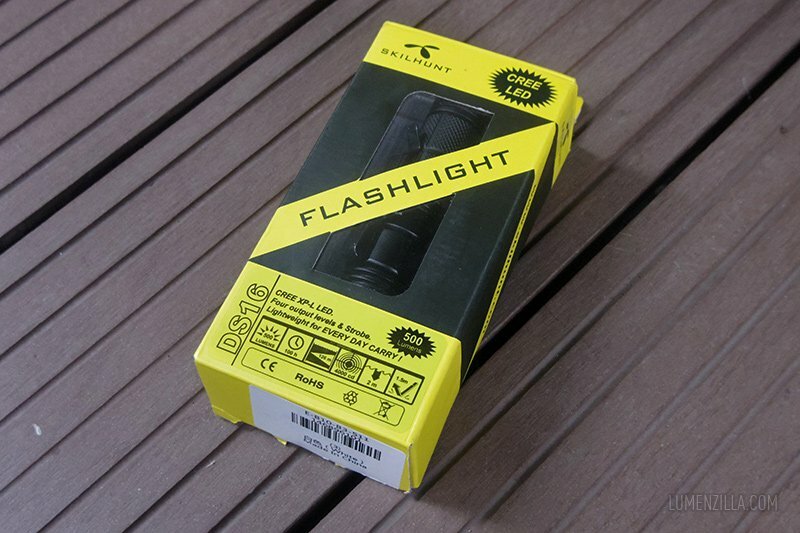 It also has strobe mode that can be accessed by double press from any mode while the flashlight is on. One minor thing to notice is the delay after pressing the button. There is a noticeable delay after pressing the button before flashlight turned on, it happens on every mode. 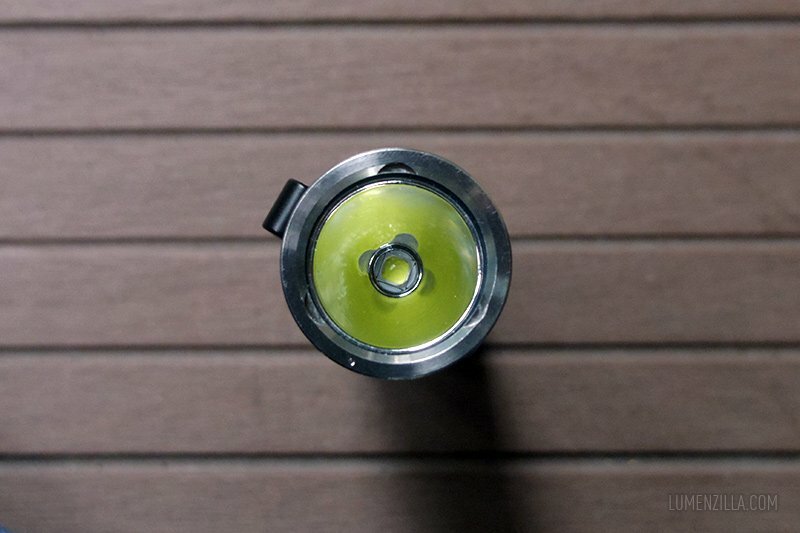 Skilhunt DS16 is a good and almost flawless EDC flashlight. Taking advantage of XP-L emitter and freedom to choose battery option makes Skilhunt DS16 suitable for your every day activities. At this very moment, there are only 17 pieces left. So better hurry than sorry.